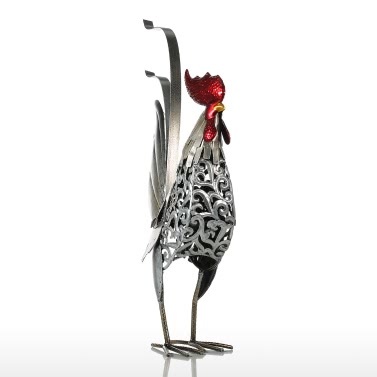 Rooster, as one of the 12 Chinese zodiac animals, is the symbol of punctuality and honesty. 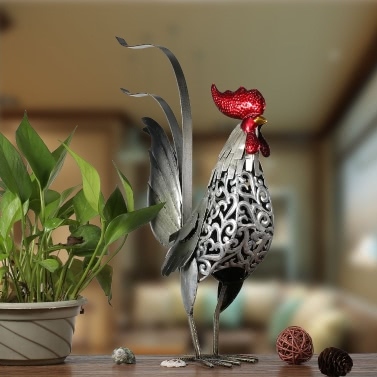 2017 is China's lunar year of rooster, take this iron rooster and the auspiciousness it brings to home with you! 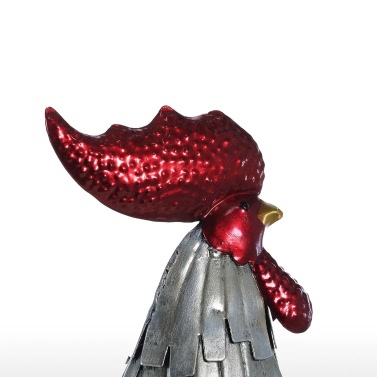 This iron rooster has strong and vigorous shape, looks extremely high-spirited. 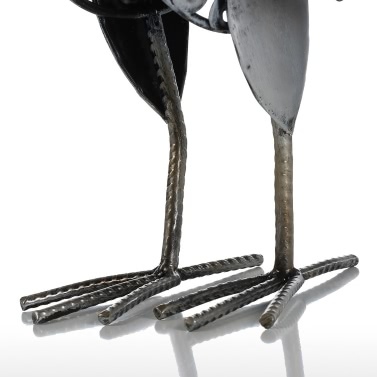 However there is nothing to be surprised about, after all, it is a delicate artwork handmade and welded by professional artist! 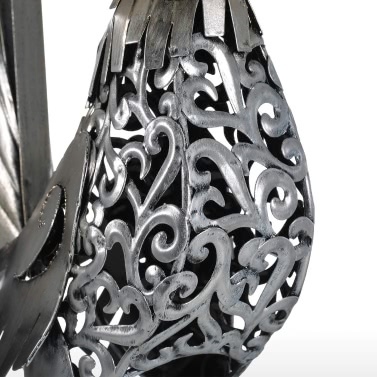 To enhance the space sense of design, the abdomen area applied hollow out design: the carved patterns are astonishing that gives the rooster an incomparable sense of art. 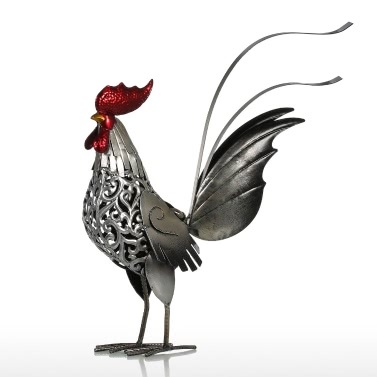 The exaggerate big tail raises up high, giving the rooster full momentum and dynamic styling. Moreover, it can also be removed. What a extraordinary finishing touch! 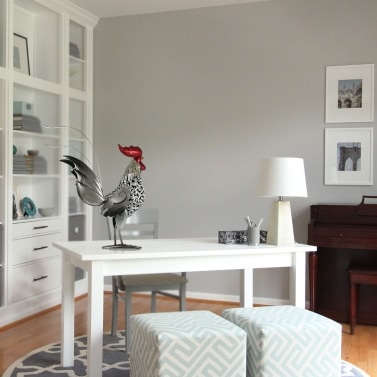 Such a handsome big rooster, no matter where it is placed, it is a stylish and eye-catchy treasure! The whole sculpture is handsome and of strong shape, looks powerful. High quality baking paint is applied on the surface, ensuring no fade nor peel off paint. Abdomen area applied hollow out design, the carved patterns are astonishing and full of sense of art. A perfect ornament for home decoration, dining table or a gift to the love ones. Enlightens daily life.